Along January-December 2018, the Tidung Bersih waste bank, Tidung Island Urban Village, South Seribu Island, managed to produce 8,899 kilograms of waste or equivalent to Rp 18 million.
" It's hoped that the residents and officers will be more active in collecting waste in the waste bank, as the results directly or indirectly have now felt"
Tidung Island Urban Village Head, Cecep Suryadi expressed that waste bank is managed by PPSU. The waste itself is collected from customers who come from schools and local residents comprising, bottles and plastic cups of drinking water packaging, cardboard, paper, metal, aluminum and iron. "It's hoped that the residents and officers will be more active in collecting waste in the waste bank, as the results directly or indirectly have now felt," he expressed, Thursday (12/6). 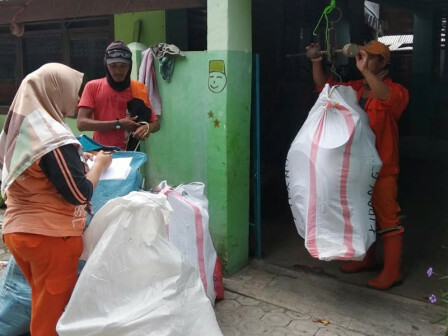 After collected, the waste will be sold to a big waste bank with a variety of prices depending on the type of waste from Rp 2,000 per kilogram, henceforth taken to land. "Customers can take the money at least after four times saving waste, yet most customers take their money after 2-3 months of saving waste," he uttered.